This is a shot taken from outside the old school in Shore Street facing the firth. In the background is I believe a fish smoking shed. 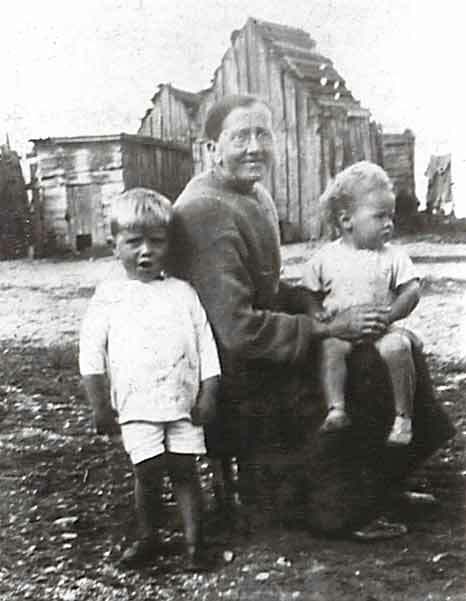 The lady is Jane Hossack (my great grandmother) with my father Daniel (standing) and his younger brother Billy. Jane used to record the Salmon Fishers catches and was probably one of the few literate women in Cromarty's fishing community. This would be a photo of my great-great-grandmother and my grandfather daniel (Donald).